The Cervical Cancer-Free Massachusetts initiative is led by the newly formed, Massachusetts Coalition for HPV/Cervical Cancer Awareness. The joint goals of both groups are to create a network for members of the medical, academic, government, and nonprofit communities who are increasing awareness, raising funds, shaping public policy, and conducting research related to cervical cancer and HPV. Our vision is to multiply and amplify the voices of the many dedicated citizens and organizations working across the Commonwealth. Projects thus far have included: participating in the coordination of the second HPV/Cervical Cancer Summit; hosting of the documentary, Someone You Love: the HPV Epidemic; and educational outreach events. For more information about CCFMA, please contact Eileen Duffey-Lind eileen.teammaureen@gmail.com or Rebecca B. Perkins rbperkin@bu.edu or visit http://tinyurl.com/cancer-freeMA. Eileen Duffey-Lind , RN, MSN, CPNP has worked in pediatric oncology for over 18 years. Her interests are in transitioning to survivorship and in cancer prevention–primarily HPV/Cervical cancer prevention. Team Maureen, a non-profit organization dedicated to cervical cancer prevention, was founded by Duffey-Lind in 2010. And in 2014, she founded, and currently leads, the MA Coalition for HPV/Cervical Cancer Awareness. She serves as co-chair of the Massachusetts Department of Public Health’s HPV/Cervical Cancer Working Group. She has co-chaired the HPV Summit, a day of cutting-edge research and education, at Dana Farber Cancer Institute, for two years and has been on multiple other planning committees. Rebecca B. Perkins, M.D., M.Sc. Rebecca B. Perkins, M.D., M.Sc., is an Associate Professor of Obstetrics and Gynecology, at the Boston University School of Medicine/ Boston Medical Center. She has been actively involved in cervical cancer prevention research since 2003, when she designed and helped implement a cervical cancer prevention program in Honduras. Dr. Perkins’ primary area of research is cervical cancer prevention in under-served women. Her current work focuses on improving HPV vaccination coverage for females and males, particularly in low-income and minority communities. She is currently working with the American Cancer Society, the American Academy of Pediatrics, and the CDC on national efforts to improve vaccination coverage. Her other areas of research interest include understanding the long-term impact of HPV vaccination on cervical dysplasia, and understanding barriers to provider adoption of new cervical cancer screening guidelines, and their impact on dysplasia and cancer outcomes. Sarah Feldman M.D. M.P.H. is an Associate Professor of Obstetrics, Gynecology and Reproductive Biology at Harvard Medical School where she is co-Director of Ambulatory Gynecologic Oncology and Director of the Center for Pre-Invasive Disease of the Lower Genital Tract at Brigham and Women’s Hospital and Dana Farber Cancer Institute. 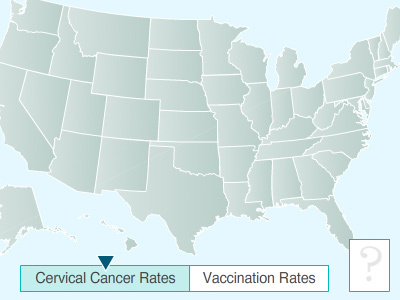 These sites are local, national and international referral centers for the evaluation and management of women with cervical, vaginal and vulvar precancers and HPV related disease. Dr. Feldman oversees multiple research projects on cervical cancer prevention, including studies evaluating effective approaches to cervical cancer screening and management, in particular assessing the impact of recent guidelines and changes in care and their impact on cervical cancer prevalence.. She has written multiple editorials for the New England Journal and JAMA Internal Medicine, as well as other journals on screening for cervical cancer that explain new screening guidelines, and examine the supporting evidence. She is the invited author of numerous review chapters on cervical cancer screening and prevention and screening technology both for patients and clinicians for the online medical education text “Up to Date,” as well as other textbooks. She has also served on invited guideline committees for the American Society of Colposcopy and Clinical Pathology, American Cancer Society, and Massachusetts Department of Public Health, as well as the American Society of Clinical Oncology Cervical Cancer Clinical Guidelines Working Group for low and middle income countries. Christine Baze, LMFT is a musician, cervical cancer survivor, Founder and Executive Director of The Yellow Umbrella Organization. As a cervical cancer survior and advocate, she has stood in front of more than 75,000 people including policy makers, groups, and consumers to share her story, music, hugs and tears to create awareness of HPV, cervical cancer, and opportunities to prevent this deadly disease. Of note, Christine was named one of MS. magazine’s “50 Women of the Year” in 2003, she was given a Presidential Leadership Award in 2005, and in 2007 was named one of the nine “Women Who Shape the World” in Shape magazine. She has shared the stage and opened for a number of national musicians including, Sheryl Crow, Ben Folds, Kaki King and The Fray. Most recently Christine can be seen in the award winning documentary “Someone You Love: The HPV Epidemic” as one of 5 women whose lives were forever changed by HPV and cervical cancer. Currently, Christine serves as a committee member for the Massachusetts Department of Public Health HPV Initiative, a member of the steering committe for the Massachusetts Comprehensive Cancer Control and Prevention Network, co-chair for the HPV workgroup, and a member of the National HPV Roundtable.